Rebecca Banush Photography is a photography studio centrally located in Red Hill, inner-west Brisbane. We specialise in newborn photography, baby photography and family photography. The first few weeks with your newborn are such a unique and special time. It is a time that comes and goes so quickly. Those wrinkles, those sleepy milky smiles. The soft downy hair and the pouty little lips. These are details of your newborn that are so fleeting. Our newborn photography captures that precious newborn stage so that you can remember it and share it with loved ones forever. With this in mind, we also offer beautiful products for displaying around the home. Newborn photography is best held within the first two weeks of baby's life as your baby is still nice and sleepy. This helps get those lovely sleepy poses. It is recommended that you enquire about your newborn session in the second trimester to confirm our availability and secure your spot. We do our newborn shoots in our Red Hill studio or in the comfort of your own home. We cater for all types of family photography whether it be family portraits, lifestyle, sibling shoots, baby milestones or even family events. We love to shoot our family photography outside in nature as it helps to create beautifully natural photos. Brisbane has a lot of great locations for family photos depending on the style you are after and where you are located. Alternatively, we also offer lifestyle family shoots in the comfort of your home where we can capture your family in a familiar and comfortable environment. We will work all this through with you during your pre-shoot phone consult. Whatever the style, our photoshoots are always effortless, relaxed and fun with a focus on capturing connection and personality between family members. Our studio is centrally located in Red Hill, inner-west Brisbane and offers a comfortable area for you and your family to relax in during studio shoots. Siblings are welcome and we also have a great assortment of children toys for all ages. For those shoots not in our studio we service the wider Brisbane area. As a guide anywhere within 50Km of the Brisbane CBD. We can also service the Sunshine and Gold Coasts on special request. For the latest news, client reviews and information follow us on Instagram and like us on Facebook. To view all of our newborn and family blog posts and past news visit our Blog. My name is Rebecca and I'm a newborn and family photographer with an absolute passion for capturing those first precious days of a baby's life and connection between loved ones. My love for babies started when I was almost a baby myself! I constantly carried around baby dolls for the first years of my life and was changing nappies of family friends children by the time I was ten. I truly love what I do and aim to make the whole newborn photography experience, calm, gentle and memorable. Photographing babies is more than just a job to me. It's about capturing the essence of those quickly fleeting moments in your baby's life. Every roll. Every wrinkle. Every little piggy toe. 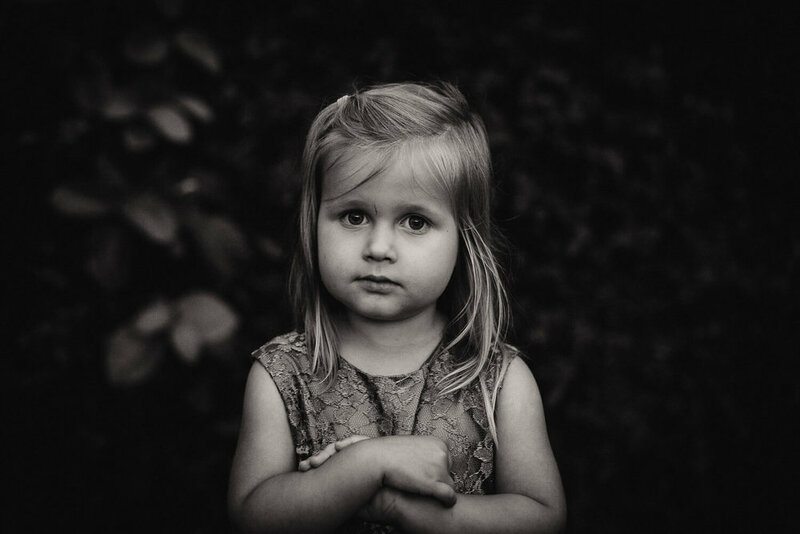 My love of family photography grew from capturing candid moments of my own four young children. 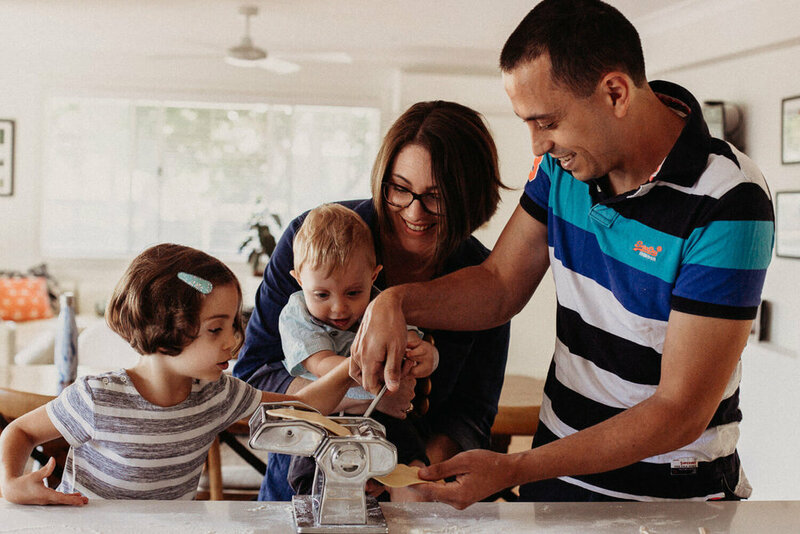 I love finding sweet moments, crazy laughter and real connection between people and producing images that really encapsulate your family's uniqueness. When not photographing sweet little babies and families, I'm busy running around after my own four! I'm a mama to three beautiful boys and one gorgeous girl who are the sunshine in my life.